Since its founding in 2005 by Pastor Israel Pochtar, Voice of Judah Israel has been a vibrant and dynamic non-profit organization in the heartland of Israel, focussed on meeting the spiritual and physical needs of Israelis in need. Our passion at Voice of Judah Israel is to reveal Yeshua’s love to Israelis in a practical and tangible way, and to provide care and sustenance to all those in need. The prophetic scripture that God gave us at the start and that has formed the foundation for the humanitarian of Voice of Judah Israel is found in Isaiah 40:1 “Comfort, comfort my people, says your God,” and that has indeed been our driving force – to care for the people of Israel. Voice of Judah Israel’s started out humbly in 2005 as a small Hebrew-speaking Messianic congregation in Ashdod, a coastal city in southern Israel. Over the years Beit Hallel grew into a thriving congregation, and by 2008 Pastor Israel’s congregation grew into a ministry called Voice of Judah Israel. 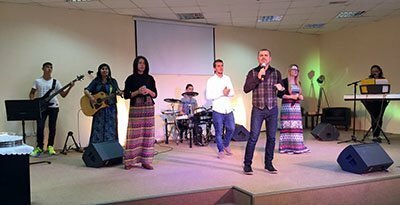 As the ministry grew, 5 additional congregations were established in southern Israel and Voice of Judah Israel currently oversees six local Israeli congregations. 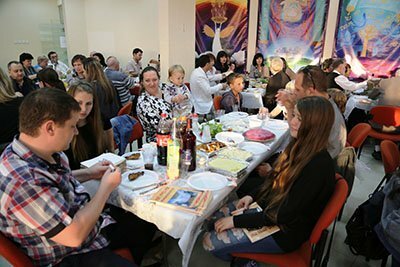 Currently our Shabbat church services in Ashdod sees almost 200 adults in regular attendance, with additional classes and activities for children and toddlers. 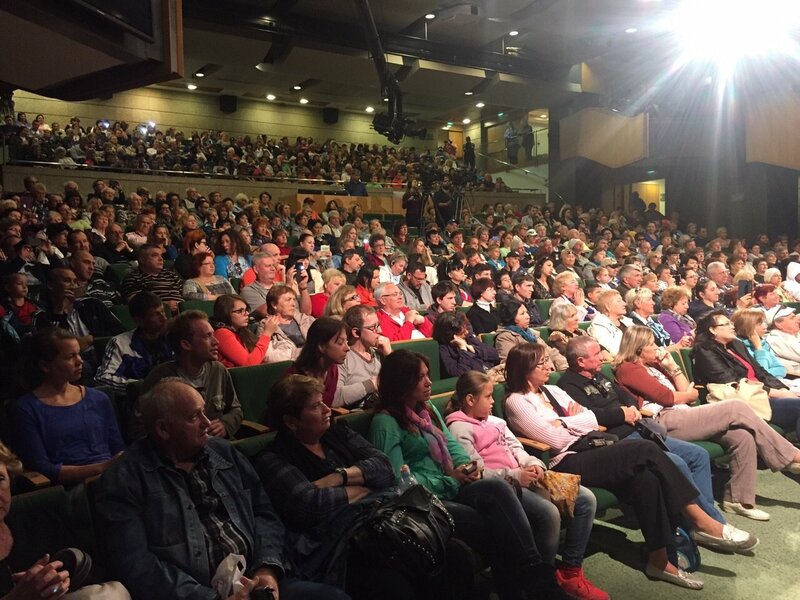 Since the beginning, our focus has always been to help the people of Israel through various humanitarian projects, to conduct evangelism and gospel outreaches to share the message of hope in the Jewish Messiah, and to establish a discipleship and training Bible center to help raise up a new generation of Israeli leaders. On a weekly basis we also provide clothing, food and household items to almost 500 families through our various humanitarian projects, among which are the Holocaust Survivors project, the Ukrainian Refugees project, single mothers and widows outreach, as well as our food-distribution project. We work very closely with our local municipalities who in turn see us as a blessing to their cities and communities. They often approach us to provide care and aid to people in need. At the beginning of every month we purchase all the supplies needed to assemble the hampers for our humanitarian projects. Our amazing team of volunteers and staff work hard to prepare the products and hampers before each project, upon which the distribution can commence. Our humanitarian projects are always pleasant experiences for those who come to us for aid. We encourage them, pray for them, provide them with refreshments, as well as live musical entertainment, and they always leave with a smile. 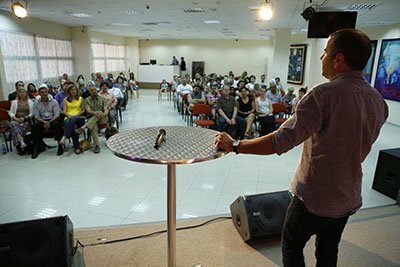 Pastor Israel has a deep passion for reaching the Israeli people with the Gospel, reconciliation between Jews and Arabs, and helping the poor and needy. He personally mentors emerging leaders in his congregation to empower them to go forth and plant new congregations and meet the practical needs of people. He teaches regularly in various Bible schools and travels throughout the world to share about God’s work in Israel.